Here training is provided to the people working within the EA domain, regarding the Enterprise EA framework that has been developed (based on PEAF) by the EA Project Team. It essentially consists of all of the PEAF materials that have been updated, modified and augmented from PEAF to produce that Enterprises own Enterprise Architecture Framework (XEAF). Internal Certification can also be performed. 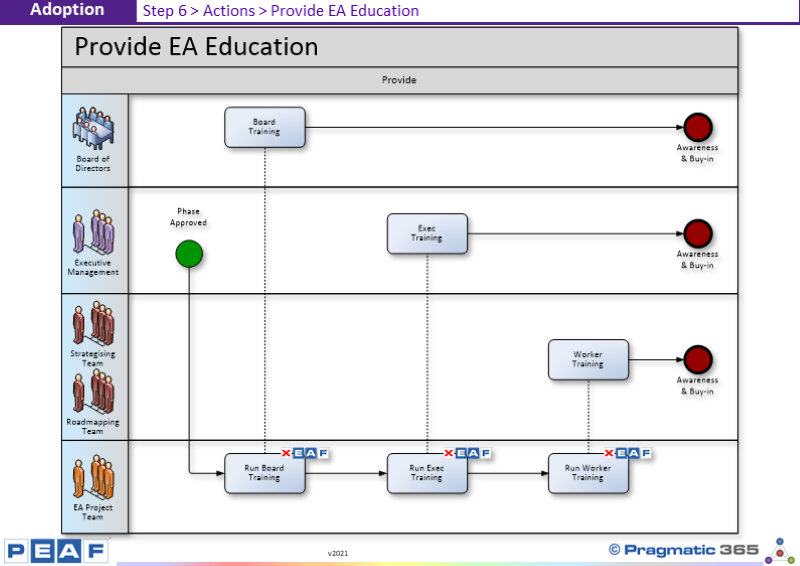 Does this process match your Enterprises process for Providing EA Education?